Joseph “Joe” Kraut, one of America's premier protein crystallographers, died Friday, May 25, 2012, at the age of 85. He was one of the first practitioners of what in the 1950’s was a new science, the application of X-ray diffraction to elucidate the molecular structure of proteins in general and enzymes in particular, which are those proteins that catalyze chemical reactions. Although it was known for a long time that three-dimensional structures could be determined by an informed analysis of patterns generated by diffracted X-rays, until 1958 the technique had been limited to molecules much smaller and less complex than proteins. At that point workers in Cambridge, England, led by John Kendrew and Max Perutz after years of arduous data collection and calculation, solved the structure of the iron-containing proteins myoglobin (1958) and hemoglobin (1960). They would later receive the Nobel Prize for this work. Professor Kraut’s introduction to protein crystallography was timely. He had received his Ph.D. from the California Institute of Technology in 1950, after which he did postdoctoral work at the University of Washington, at the time a hot bed of research on proteases, enzymes that catalyze the breakdown of other proteins. Along with several others, Kraut was set to work on the characterization of chymotrypsin, a digestive enzyme found in animal intestines. In 1955 he received a prestigious Howard Hughes fellowship that allowed him to go off to Cambridge to learn the latest developments in protein crystallography. Linus Pauling, who had been Kraut’s Ph.D. advisor, wrote to John Kendrew that Kraut “is a well-trained physical chemist, with a good knowledge of physics and mathematics as well as chemistry...(and)...I would expect him to get something significant done,” a prophesy that would be well fulfilled. In 1956, Dr. Kraut returned to the University of Washington as a member of the faculty and, greatly stimulated by his Cambridge experience, began a large-scale assault on the crystal structure of chymotrypsinogen, the precursor protein that is converted to chymotrypsin. In 1962, Professor Kraut moved to the fledgling campus of the University of California in La Jolla, where he would remain until his retirement in 1999. During that period he completed the structure of chymotrypsinogen and several other enzymes. He was soon recognized as a leading authority on how enzymes catalyze chemical reactions. One of his most enduring contributions was the high-resolution structure of the proteolytic enzyme called subtilisin, a protein made by a bacterium from the soil. He then compared the structure of the enzyme from the bacterium with that of mammalian chymotrypsin. Remarkably, although the two structures had completely different overall structures, natural selection had managed to arrange three key amino acids in the same orientation. This is the juxtaposition that allows the concerted proton transfers and nucleophilic additions that are the steps necessary for catalyzing the splitting of bonds in other proteins. To this day it remains one of the most striking examples of convergent molecular evolution. In his studies of subtilisin, Professor Kraut was one of the first biochemists to apply the theory of his mentor, Linus Pauling, that enzymes should associate more strongly with synthetic molecules more closely resembling the transition state in their catalytic mechanism than they do with the molecules they actually convert. He was able to show that boronates that form intermediates resembling the transition state for one of the steps in the reaction catalyzed by the enzyme associated tightly with subtilisin and formed a complex that identified the amino acids involved in its catalysis. Such analogues of intermediates in enzymatic reactions are now widely used as highly specific drugs by the pharmaceutical industry. These experiments are an example of one of the most characteristic aspects of Professor Kraut’s career. Instead of producing crystallographic molecular models of many different proteins, he would study each protein he chose to examine in great detail until he had learned as much as he could about their catalytic mechanisms. In this sense, he was more a chemist than a crystallographer. Professor Kraut’s group also worked out the detailed structures of iron-sulfur proteins that are critical to much of cellular metabolism. In this regard, they were the first to demonstrate that inorganic metal clusters could act as prosthetic groups in proteins that catalyze chemical oxidations and reductions. They also determined crystallographically the structure of dihydrofolate reductase, an important enzyme in nucleic acid metabolism, and a frequent target in cancer treatments. His group’s later work involved structural studies of a DNA polymerase, an enzyme that is responsible for replicating DNA. During his long career at DC, San Diego, Kraut trained numerous young crystallographers, many of whom went on to distinguished careers of their own. In 1978, Dr. Kraut joined Mel Simon and John Abelson in founding the Agouron Institute (the name referred to the Agora of Athens where Socrates met with friends to discuss ideas, but the inadvertent mutation in spelling came closer to other interpretations). The goal was to establish an independent research institute free of that eventually could be coupled to a separate, more business-like venture, an offspring that eventually became Agouron Pharmaceuticals. It was a huge success, and many of its most rewarding findings were direct outgrowths of structural projects conducted by former researchers from Professor Kraut’s lab. They and Professor Kraut were pioneers in what would subsequently be called structure-based drug design. Joe Kraut was born in New York City in December, 1926. After a stint in the military at the end of World War II, he attended Bucknell University in Lewisburg, Pennsylvania. 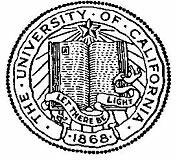 He was elected to Phi Beta Kappa and graduated in 1950, after which he began his Ph.D. studies at Cal Tech. In 1980 Joe received the prestigious Keilin Medal from the British Biochemical Society, and in 1988 he was elected to the U.S. National Academy of Sciences. He is survived by his three children, Isabel Kraut of Brooklyn, Rachel Kraut of Singapore, and Sam Kraut of California. His wife Jean died in 2000.